Yesterday, Paramount Pictures let the world know who would play the voices of Antonio Banderas’ side-kick seagulls. This is something that a lot of animated films do. They leave a character, or some characters, alone so each country can add their own celebrity voices to them. 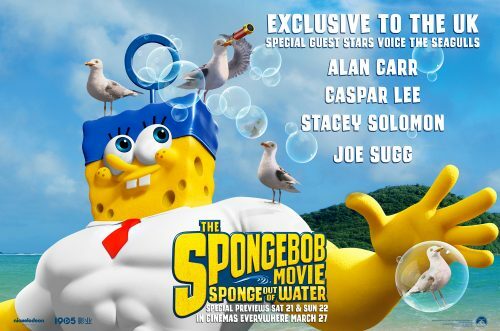 Comedian and TV personality Alan Carr, singer and TV presenter Stacey Solomon and YouTube sensations Joe Sugg (Thatcher Joe) and Caspar Lee have re-voiced comedy characters exclusively for the UK, joining fellow Brit actor and comedian Matt Berry (Bubbles the Dolphin). Basically, it’s one person most people have heard of, one person who didn’t win X-factor and two people who do things on YouTube. There are better people out there but they must have been easy to get hold of.